Jay Bodzin came to Oregon in 1998 to attend Reed College. He received a B.A. in Political Science and a Senior Reactor Operator's license for the school's nuclear research reactor. He graduated Northwestern Law School at Lewis & Clark in 2007, with honors awards for pro bono work and community service. Before joining Kivel & Howard in 2017, Jay worked in private practice, opening a collaborative office for attorneys starting their careers as solo practitioners. His professional accomplishments include winning custody of children on behalf of grandparents; winning contested custody cases for clients even against opposing expert evaluations or children’s attorneys; and obtaining a writ of mandamus from the Oregon Supreme Court, overturning a court's order that denied a client the right to seek evidence in a restraining order case. Jay is licensed to practice law in the state of Oregon and the Federal District of Oregon. His practice focuses mainly on domestic relations and consumer protection issues. He served as chair of the Oregon State Bar's Pro Bono Committee in 2011, and is currently Chair of the Unlawful Practice of Law Committee. 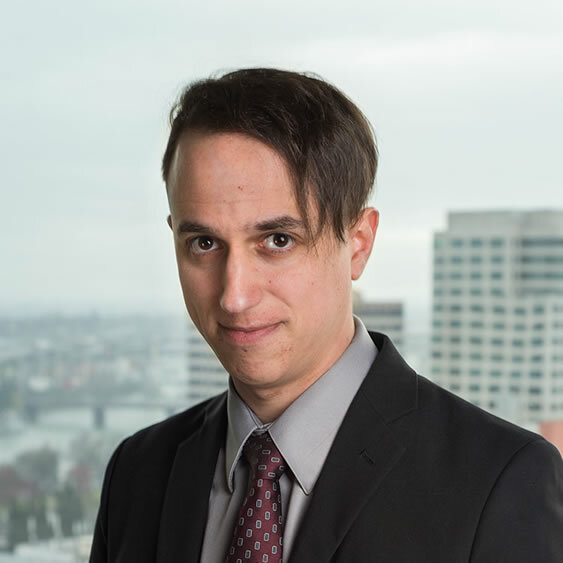 He volunteers as a fee arbitrator for the Oregon State Bar and as a judge for the Classroom Law Project's Mock Trial Competition.